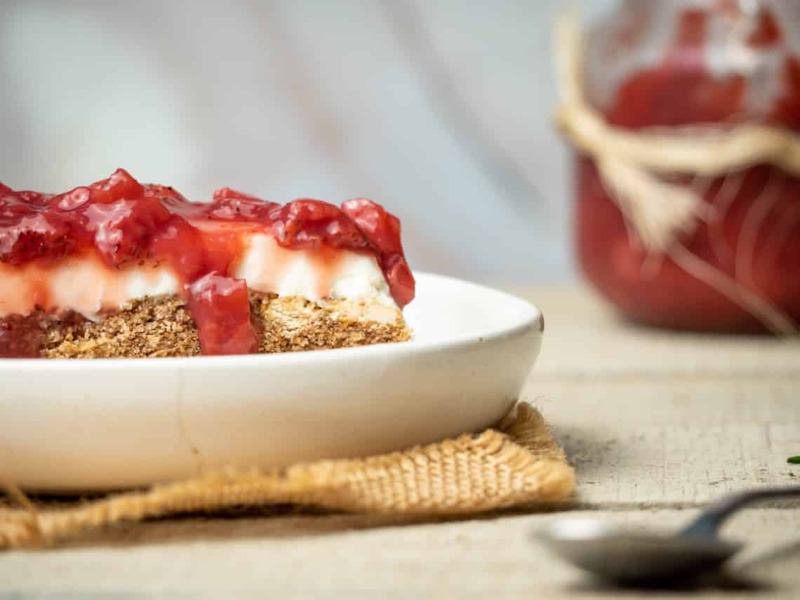 WHAT IS A KETO STRAWBERRY PRETZEL SALAD? A strawberry pretzel salad is an absolutely delicious sweet dish popular in the summertime at cookouts and picnics. 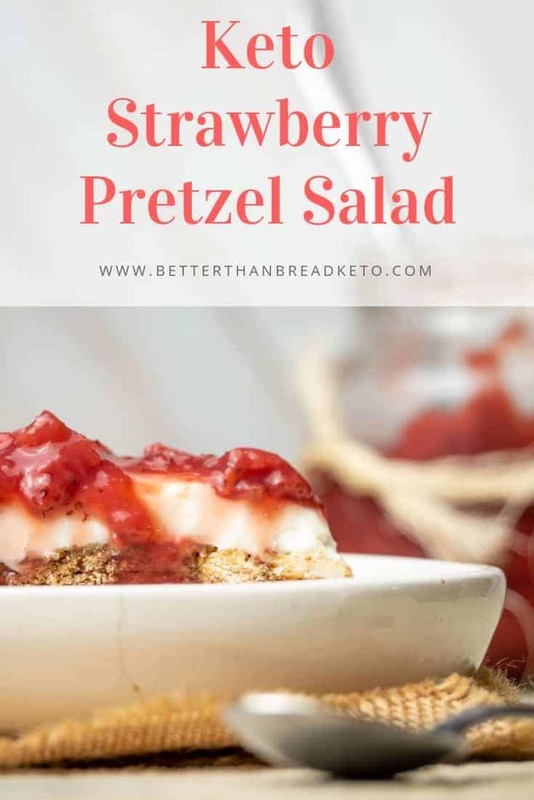 The “salad” consists of a pretzel and butter crust (of course, not for this recipe), a sweet, whipped cream cheese filling, and is topped with strawberry jello and berry slices. The original, as you might have guessed, is absolutely chock full of sugar and carbohydrates. This recipe, however, uses awesome keto-approved ingredients to make an equally delicious dish! And before you worry, no pretzels are part of this recipe! Instead, we use walnuts, which are able to give us a delicious alternative that has a very similar taste to the original. WHERE DID STRAWBERRY PRETZEL SALAD COME FROM? 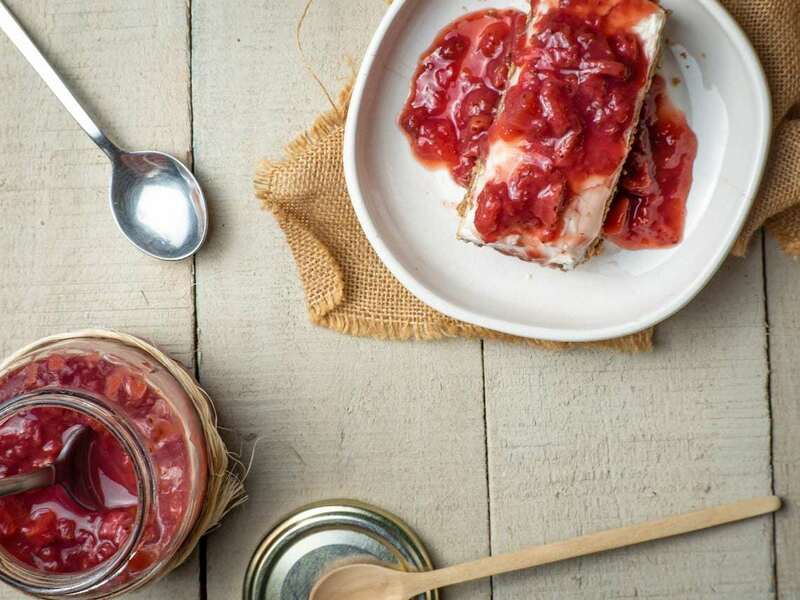 Supposedly the origin of the strawberry pretzel salad can be traced back to the 1960’s when a cookbook entitled “The Joys of Jell-o” was published. The book was chock full of recipes that (unsurprisingly) used Jello as a main ingredient. One of them featured strawberry jello in a recipe pretty similar to that of a strawberry pretzel salad. From that this dish was born and became a staple of cookouts and picnics everywhere. In order to make this delicious, sweet dish you’ll need to make sure you have the following ingredients for the crust, filling, and topping. After you’ve gotten all of these ingredients together (don’t forget to check out the jam recipe to make sure you have all of those too!) you are ready to head to the kitchen and start making! Making this pretzel salad is a lot more simple than it may seem. Begin by preheat your oven to 350˚F. Combine all crust ingredients in a food processor and process until well-mixed. The walnuts should be close to a powder consistency. Spread the crust mixture evenly in the bottom of an 13 x 9″ baking dish and bake for 10 minutes in the oven; remove and let cool. 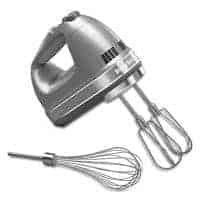 Using a hand mixer, mix all filling ingredients in a mixing bowl well. Spread the filling mixture evenly over the crust. 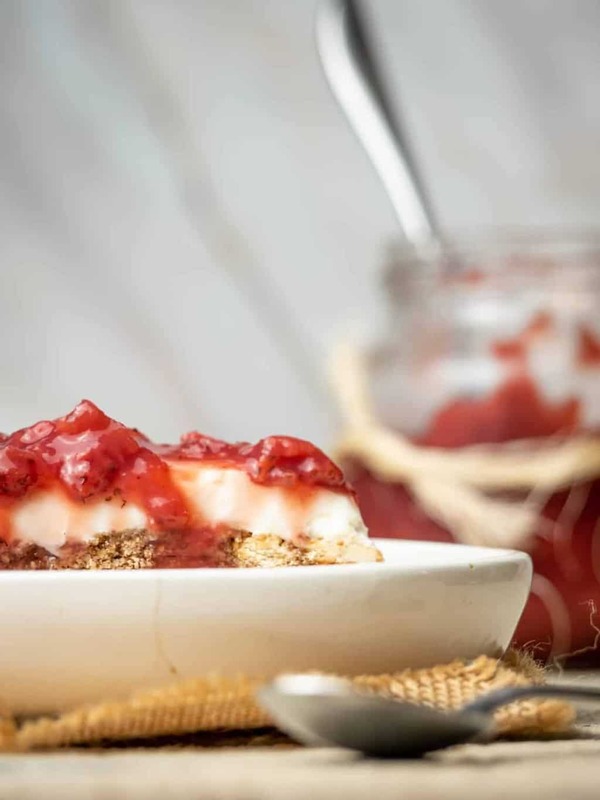 Whip up a batch of our Keto-Friendly Strawberry Jam and spread the jam evenly over the top of the filling. Refrigerate for at least two hours or until the dish is chilled through. WHY DOESN’T THIS RECIPE USE SUGAR-FREE JELLO? We don’t use sugar-free jello in any of our recipes for multiple reasons. Think of sugar-free jello as the ingredient that sounds good on paper, but other than that, isn’t a great idea. While lots of low-carb and ketogenic bloggers like to use sugar-free jello in their recipes, we don’t like to use it. If you’re wondering why, here is some information that will hopefully make you agree with us. If you’ve never taken a look at the ingredient list for sugar-free jello before, you’re like to find that it is full of things you likely can’t pronounce, much less know what they do. Taking a look at this list, if nothing else, the use of maltodextrin is a huge no. Maltodextrin has a glycemic index of 85 – 100, which in case you aren’t aware, is incredibly bad. For reference, pure sugar has a glycemic index of 100. So, maltodextrin can actually have a worse impact on your blood sugar levels than sugar itself. And, as you know, keeping blood sugar levels low is one of the reasons carbohydrate restricted diets work as well as they do. So why sabotage yourself? As you might have noticed in the ingredient list above, there are some questionable sweeteners being used. While we actually aren’t against aspartame (oddly, the EU isn’t either), it’s also not the best sweetener to use, as it has 85 net carbs per 100g. Check out this comprehensive article from Ruled.me about artificial sweeteners. The second sweetener used is acesulfame potassium, which to be honest, doesn’t even really register on the “known” artificial sweetener list. Having said that, if you have a hard time saying it and if it’s something you’ve not heard of being widely used before, it’s probably not the best idea to start using it. We can’t imagine it’s good for you! As you know, we love to use Lakanto sweeteners in our recipes. They are simple, natural, and not filled with tons of added ingredients like most name brand sweeteners. Having said that, using your own favorite sweetener in this recipe is certainly acceptable. We always like to remind you that cooking is a very personal endeavor. Therefore, if you have a sweetener that you like to use and it works for you, feel free to use it. Storing this pretzel salad is super simple and easy. If you’re using a glass storage container to “build” this salad in as you go, you can simply leave it in there. Add a lid (or plastic cling wrap) and pop it into the refrigerator. Otherwise, you’ll want to gently remove portions of the mixture and transfer them to an air-tight storage container of your choice. Again, store in the refrigerator. Regardless of which storage method you utilize, your pretzel salad should keep for up to five days in the fridge, giving you plenty of time to enjoy its awesome deliciousness! The good news is, the answer is yes; it can be frozen. Simply slip it into the freezer for an easy way to store it for later use. However, there are a couple of things you might want to keep in mind before you choose to go down the path of freezing it. Freezing the pretzel salad should only be used if you are planning on using it in the near future. Planning to freeze it for use a month or more down the road is not a good idea. Do not plan on using the freezer in place of the refrigerator. Again, freezing should be considered a long-term solution, instead of short-term storage. Keep in mind, when you thaw the salad there is a high possibility the strawberry jam will discolor (darken) slightly. The lack of additives or preservatives in the jam (on purpose, of course) is the root cause of this. Make sure you give the salad enough time to properly thaw before trying to cut and/or serve it. Otherwise, you will end up with keto strawberry pretzel ice cream! 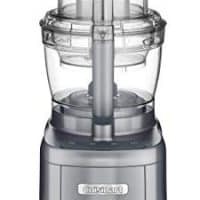 Food Processor – If you don’t already have one, a good food processor can make a lot of cooking tasks so much easier. Since this recipe calls for walnuts to be used for the crust (in place of pretzels), they need to first be processed. This is where a super handy food processor comes in! Don’t have one? There’s no time like the present to make that change! 13 x 9″ Baking Dish – For this particular recipe, a 13×9″ baking dish is the perfect size dish. It is big enough to hold all of the ingredients and makes for easy portion control when dishing servings back out. If nothing else, a good glass baking dish can also double as a super easy storage method. Win, win! All of the deliciousness of a normal strawberry pretzel dessert without the carbs! This keto strawberry pretzel salad is sweet and awesome! Oh my. This as well as almost every recipe I have looked at are amazing. Want to go in the kitchen and make everything, right now! But we all.inow that’s not a good idea and not gonna happen. The low carb groupie in my always has me looking for new and better. Think this site offers both. Thanks for sharing and looking forward to cooking up a storm and trying new recipes. I love strawberry pretzel salad, and will definitely make this soon. But I’m wondering how you can make this crust without including the most delicious thing about pretzels…salt! I will add Himalayan salt to that mix. It’s the salty and sweet that does it for me. Oddly enough, the addition of the butter to the walnuts had enough salty flavor for me. Adding more would be good too! Enjoy! Oh, my goodness!! I cannot WAIT to try this!!!!! Thank you so much! !